This project started with a cry for help from Hanno Spoelstra of the Sherman register. 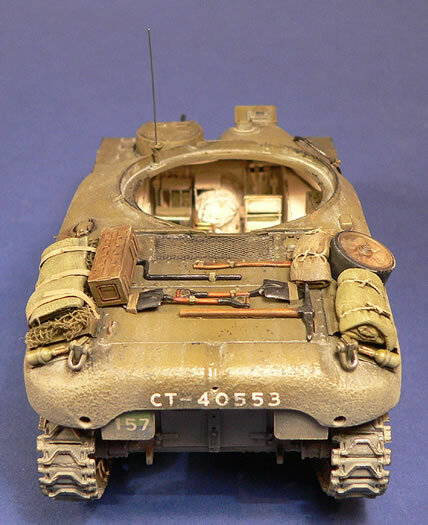 He wanted to present a Kangaroo scale model to a veteran of the 1st Canadian Armoured Carrier Regiment (1CACR) on their reunion in November 2006, but there was only one month left to build the model, so I had to start right away. 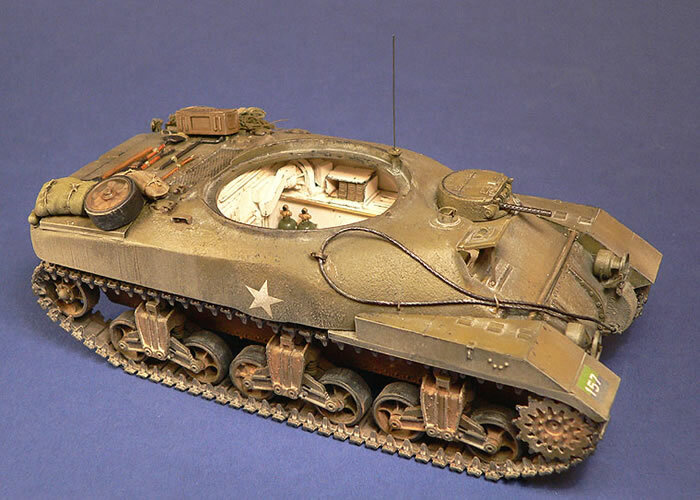 The base for this model is the Verlinden Ram conversion set, which was kindly offered by Bert Lindeboom along with Tamiya M3 Lee/Grant running gear. 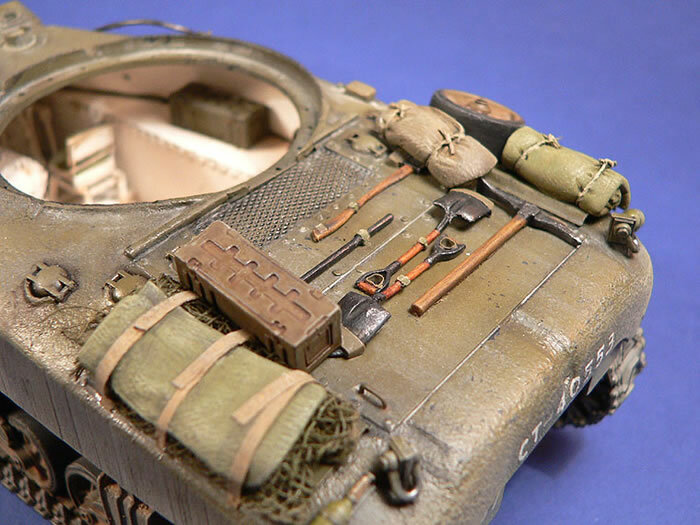 Most of you will know that the Verlinden Ram conversion set has several flaws in shape and dimension and that better Ram conversions have since been released. Nonetheless we already had the Verlinden set so we decided to stick with it and although time was very limited I wanted to correct as many flaws as possible. We are fortunate to have a surviving Ram Kangaroo here in The Netherlands. Measurements and pictures of that one were a nice addition to the info found in personal collections and on the web. The hull needed to be lengthened about 6mm and widened about 2mm. 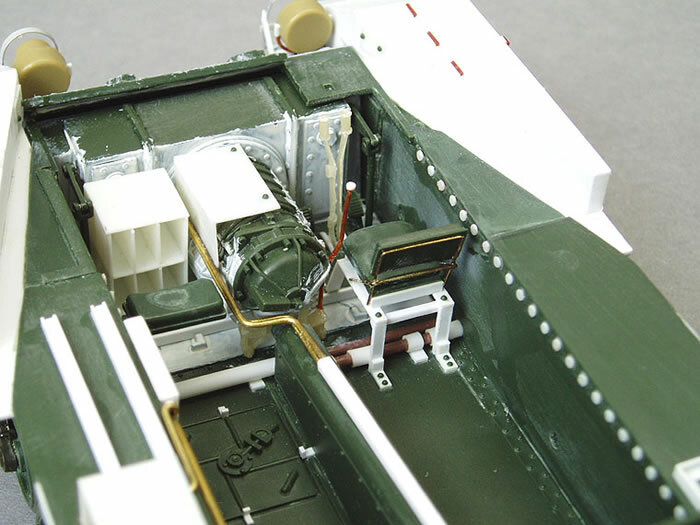 1mm thick Evergreen sheet was glued to the hull sides, which corrected the width, but also allowed me to replicate the specific mould texture on the hull side of Rams. Milliput was used to integrate the new features and create a smooth surface. After sanding the hull unto shape, the solid interior of the Ram hull was thinned down with a motor tool. A new larger turret ring has been installed and several small details were created like the centre and corners of the hull rear, the splash around the .30 turret and new fuel filler caps with new guards. 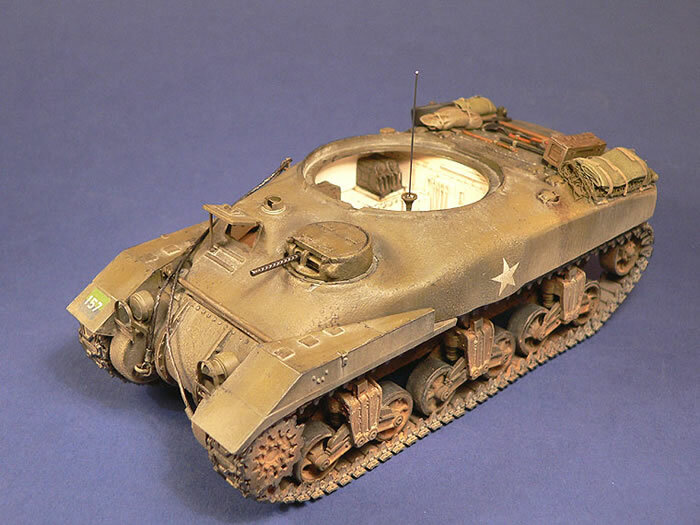 An Academy M3 Lee provided the lower hull and transmission (and .30 turret and interior parts). 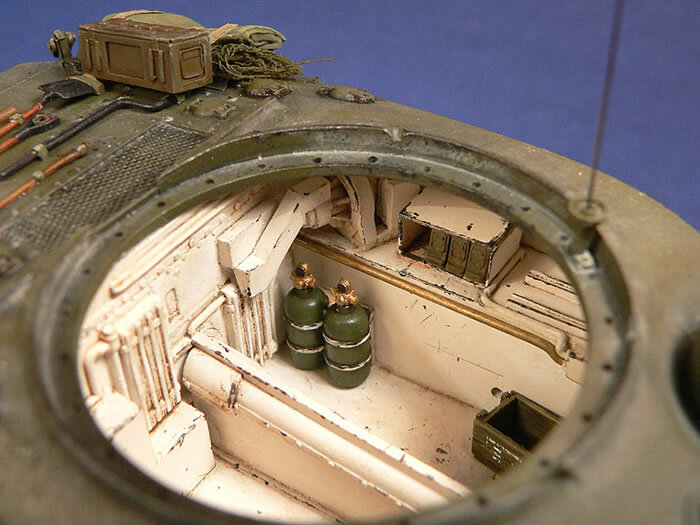 The interior was based upon components from the Academy M3 Lee. The drivers position was moved to the right, escape hatch moved to the left. 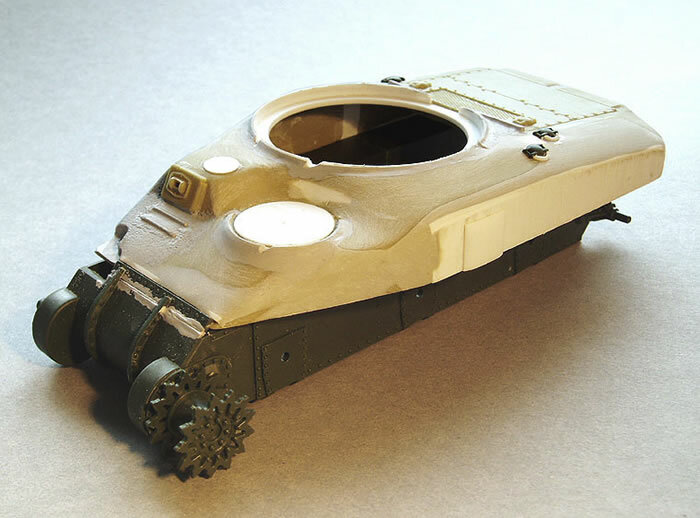 Several bits from the spares box were used along with scratchbuilt items like the drivers seat and ammo storage. The cast texture was simulated by applying Mr. Surfacer 500 from Gunze Sangyo with an old paintbrush. 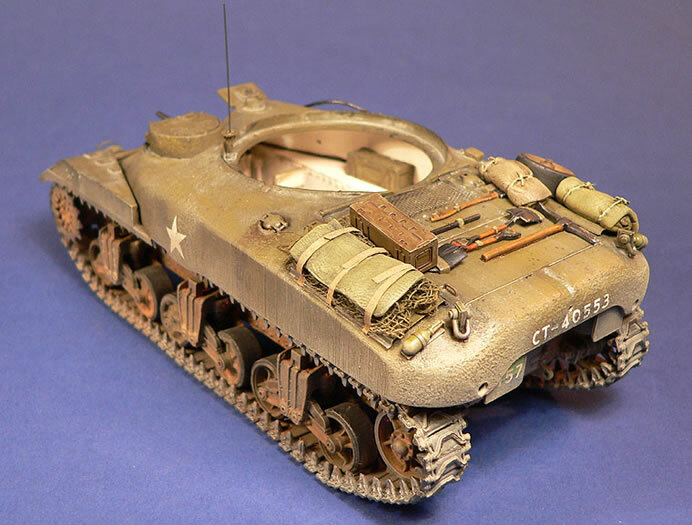 The tracks and sprockets were “borrowed” from the Italeri Marines Sherman, which were cut into sections and glued to the suspension with 2K-glue. 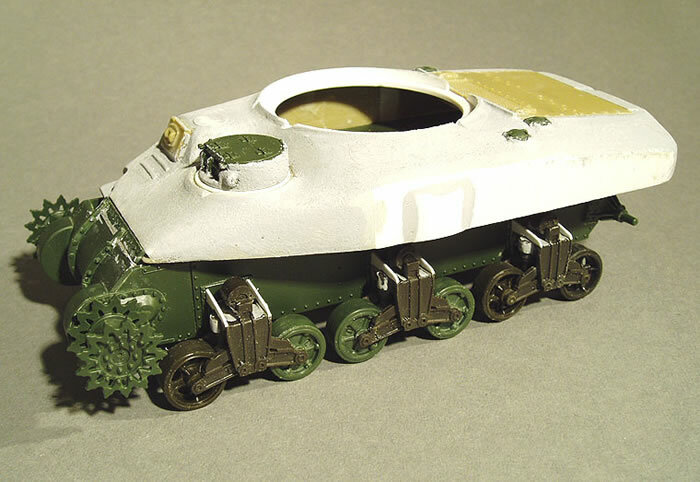 The model was painted in Humbrol Enamels. 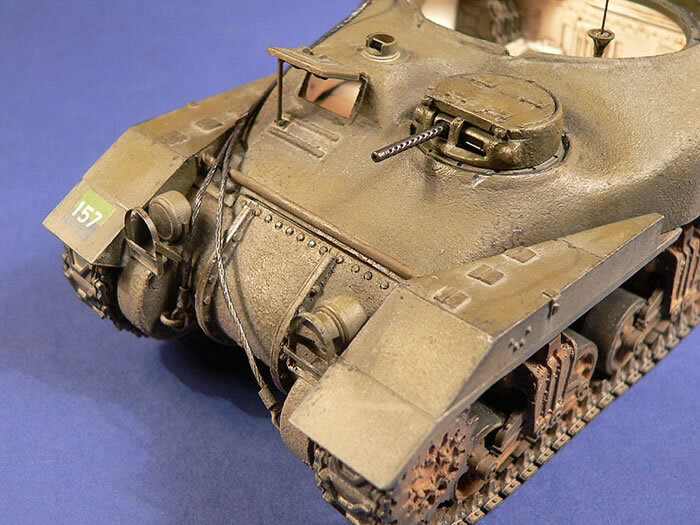 Weathering was done with Humbrol and Revell Enamels, Windsor & Newton oils and MIG pigments. Allthough most of the Kangaroos operated by the 1CACR had the late style hull with integrated .30, they did receive a small number of the older Rams. Bill Miller was able to provide me with a correct 1CACR census-number from original archive material, which matched the features on the model. Archer decals were used for the stars and registration. However the blue and green “AoS” was masked and airbrushed because I wasn’t able to get the appropriate Archer set in time. I would like to thank: Hanno Spoelstra, Bert Lindeboom, Marcel von Hobe and Bill Miller for help with this project.